Where do I find IDs for Dashboards, Klips and data sources? In the left navigation bar, click either Dashboards, Klips, or Data Sources. Find your asset in the list and select it. The search box may help you find it faster. On the details page, copy the ID of your asset. Paste your ID onto a notepad and use it for your task. 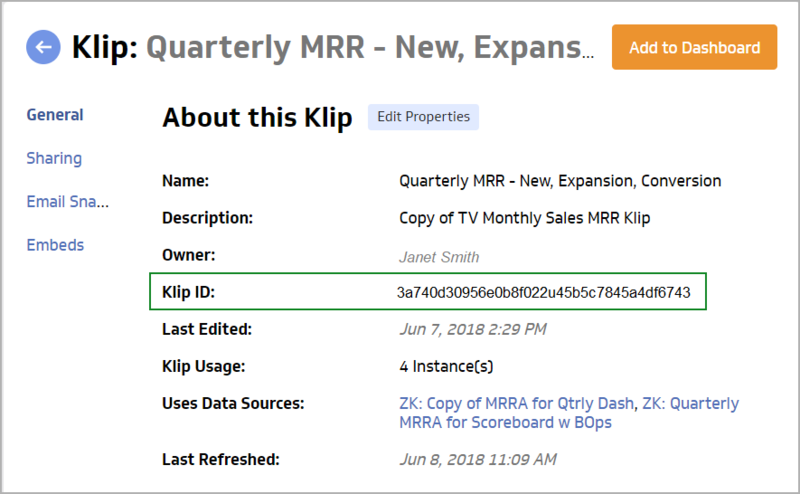 How do I switch data sources in a Klip?